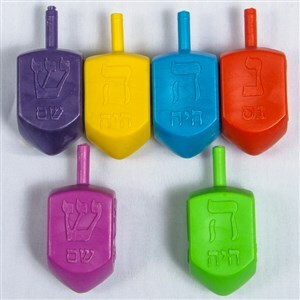 Assorted color plastic dreidels,bagged, with UPC. This is the most popular inexpensive dreidel. Exact same as 113 but each piece is bagged.